One of the more abstract youth soccer skills is multitasking. Soccer requires total body coordination, which in itself is multitasking. It also requires athletes to strategize, move physically, and control their actions based on changing conditions on the field. This ability to multitask is something that comes with age and development, but should not be overlooked by coaches. When teaching youth soccer skills like multitasking, coaches should build slowly from one thing to the next. For example, a coach could ask athletes to run down the field. Once proficient in running, coaches can add a ball, asking athletes to kick the ball in front of them while running. Once proficient there, coaches can add a defender while athletes run with the ball. Finally, coaches can add another offensive player, encouraging athletes to work strategically to keep the ball in their possession while changing from one player to the next. A soccer skill all good players develop is the speed burst. This allows athletes to challenge their opponent when playing one-on-one and will give the element of the surprise to the faster player. A speed burst is simply when a player draws on their energy reserves to quickly increase their momentum in either running or ball handling, allowing that player to go around an opponent or otherwise gain the upper hand. A speed burst can be taught by building fast-twitch muscle fibers. To build the correct type of muscle for this move, coaches should work with athletes on sprints and other fast exercises. By forcing the body to respond quickly and for a short period of time, athletes build fast-twitch muscles and prime their bodies for the correct response during competition. Other exercises that build fast-twitch muscles are squat jumps and anything that requires an explosive burst of energy followed by periods of downtime or reduced exercise. Much of weight training can be considered fast twitch, though younger players should weight train with extreme caution. Though many would think that balance is not a skill, without it, athletes will find themselves behind an opponent every time. Balance can be improved, making it a skill. 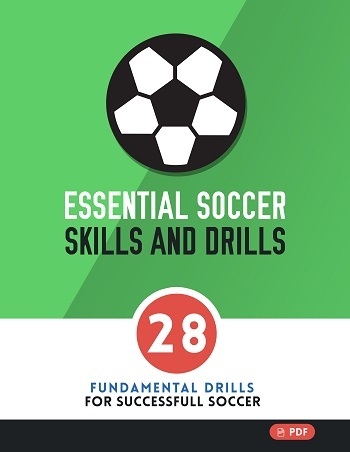 For soccer, it is especially useful because of the frequent stops and starts required to effectively handle the ball. Athletes without balance will not be able to react quickly, respond to changes in the game, and be as sure-footed as their counterparts. 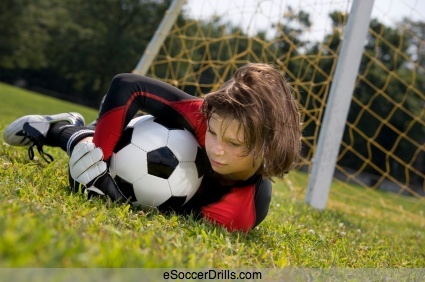 Of all youth soccer skills, balance may be one of the hardest to practice. Athletes can go through a series of exercises to improve balance, such as standing on two feet on a short ledge and slowly backing the heels off the ledge until the player is balancing on the toes. When the athlete is comfortable there, they can lift one foot and focus on balancing on only one foot. However, the best way to improve balance needed for youth soccer skills is to work on core strength. Though balance is tied to the workings of the inner ear, it is also tied to core strength. By core strength, coaches should be thinking abdominal and lower back strength, as well as obliques and other stabilizing muscles.